"No, I did not," Judge Michael Hecht testified in a Tacoma courtroom last week, in his own defense. He said this repeatedly. What had he not done, you ask? Have a seat. Hecht was on trial for felony harassment and patronizing a prostitute, based in large part on the testimony of one man who said Hecht threatened to kill him if he talked about their relationship, and at least four others who testified that he had in fact patronized them. Hecht, a 59-year-old married man, said he did not do any of that and in fact had never seen most of the men until they appeared in court. He also did not try to get one of them to leave town rather than testify. Nor, he said, did he visit a local adult theatre and bookstore for any immoral purpose. Yes, he did visit it "hundreds of times over the years," but that was only because he liked the chicken soup. Those who have never visited such establishments may be surprised to hear that any of them might be known for their chicken soup. Actually, those who have visited such establishments might be even more surprised to hear that. 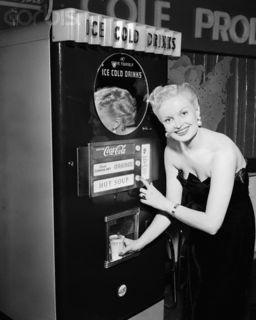 But Hecht testified that he frequently stopped in at the Mecca theatre in downtown Tacoma to buy the soup from a vending machine there. "It's very good chicken soup," he testified, under oath. Hecht admitted that he spent a lot of time in the downtown "Antique Row" area where the Mecca is apparently located, and not just when he was lusting after soup. He said he had "dabbled in antiques" his entire adult life. He did admit that he often gave out cash, food and his phone number to homeless people who "hang out" in the area, but said he had only been trying to help, describing himself as the "helpful grandpa type." So, yes, he did give one of the men money, advice, and (oddly) socks. No, he said, he did not receive anything in exchange, as that man had testified. It's just what helpful grandpas do. The report did not say much about the apparent credibility of the witnesses against Hecht, at least one of whom was said to be a heroin addict. But the jury seems to have found them more credible than the judge. On October 29, the jury found Hecht guilty on both charges. He will be sentenced in three weeks and also faces ethics charges. But as of last Friday, Hecht had not resigned, and according to the Tacoma News Tribune it was not clear whether he could be quickly forced from office. He could be impeached, but the state legislature doesn't convene again until January. In the meantime, he will continue to collect his $148,000 salary. Al Rose, an advisor to the county executive, expressed frustration about that. "We'd just like to stop giving him chicken soup money," Rose said. Here's an idea: start paying him only in chicken soup. Then we'll see whether he really likes that stuff as much as he says he does.